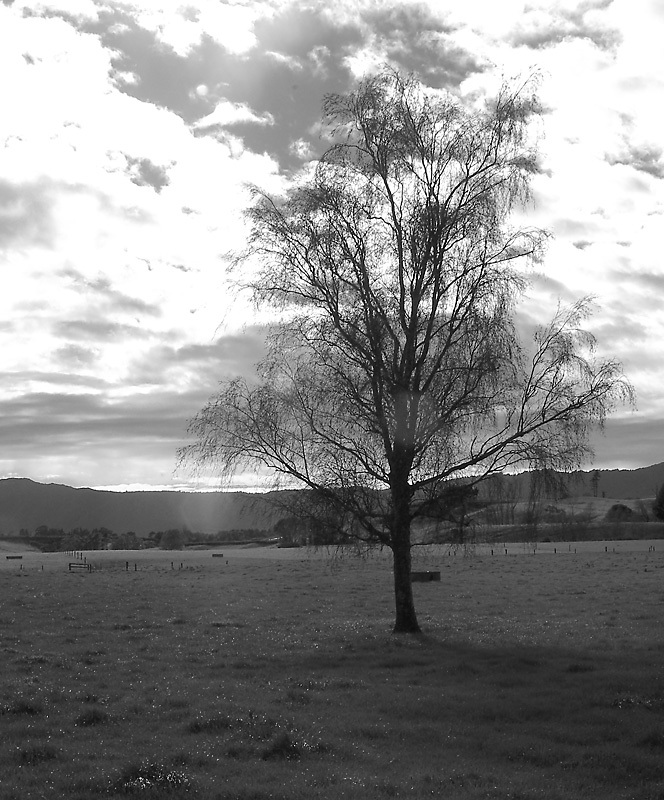 This splendid tree silhouetted itself against the backdrop of the mountains of the Coromandel and Te Aroha. Photo was turned BW with Photoshop CS's Hue Saturation. This allowed me to change specific channels. By doing so I was able to maintain a high contrast within the clouds as well as differentiating shades within the grass. Let me know what you think. I like the contrasts in the sky. Seems the light has caught the lens a bit but still nice.